Arttec Como Pads are legendary in the Australian art industry, maintaining a superior reputation for over 30 years. 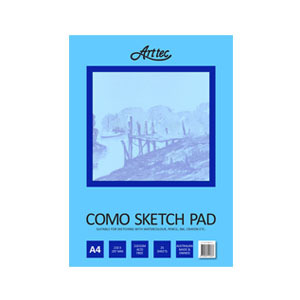 Famed for their unique, Australian made, cartridge paper, Arttec Como Pads can take almost any medium. Glued & tape bound on the short side, with backing board for additional support. Arttec Como Pads contain 25 sheets of acid-free, PH neutral 210gsm paper.